1. 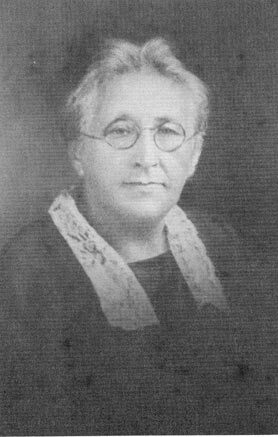 Marie Gurine Thomsen, b. 13 June 1904 in Idun Township MN, and died 18 Dec. 1986. (Picture). 2. Thor Brynjulf Thomsen, b. 13 Nov. 1905 in Idun Township MN. 3. Erling Andreas Thomsen, b. 5 Dec. 1907 in Idun Township MN. d. 10 Apr. 1975 in Mora, MN. (Picture). 4. Alf George Thomsen, b. 22 Apr. 1909 in Idun Township MN. d. 12 June 1962 in Orofino ID. He married Jean Aileen MCCRORY, 30 June 1937 in Idun township MN. She was born 18 June 1910 in Fessenden ND. 5. Haakon Thomsen, b. 13 Jan. 1911 in Idun township MN. He married Cleopatra L. PITTS, 22 Sep. 1937 in Nashua, IA. She was born 1 June 1919 in Waterloo, IA, and died 13 Sep. 1989 in Pasco, WA. 6. Astrid Caroline Thomsen, b. 13 Sep. 1915. 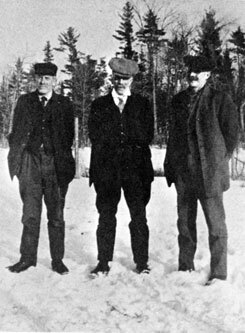 Cornelius Mandius, Lorentz Sars and Tolleif George. Before Tolleif George immigrated to America with his family, he was working at Skalurens Shipyard in Rosendal in Kvinnherad. Here you can read about The Barony Rosendal. 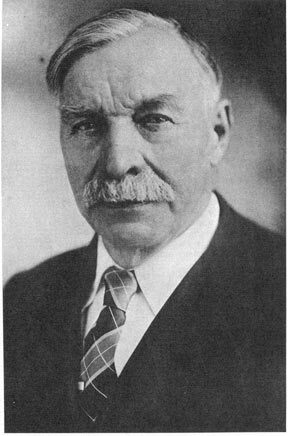 At the time Taulerius Conrad Thomsen and his sons settled in to northern Minnesota (1901), the US Government was granting land to anyone for asking. They each received 160 acres of land, adjacent to each other. Here you can see Tolleif George's land patent. 1) Thanks to Keith Thomsen, Duluth, Minnesota, Colin Keith Thomsen, Minneapolis, Minnesota and Rick Gerhardson, Bloomington, Minnesota for this material. Hordaland county, Valestrand in Sveio, Parish register (official) nr. C 1 (1862-1880), Birth and baptism records 1864, page 10. Telemark county, Solum, Parish register (official) nr. I 8 (1865-1876), Birth and baptism records 1870, page 72.